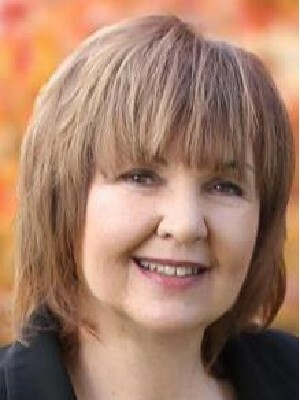 Old or new property, Mississauga or GTA, I highly recommend using Linda Turner as your real estate agent. She has the best strategy to give you top dollar and fast turnaround on your property! 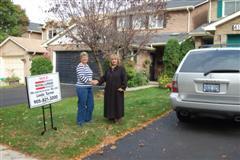 Linda sold our principal residence in Mississauga for a great price and in just 3 days! She gave us fantastic guidance and tips on the things we should do to get top dollar for our house, and for our house to move quickly. We were glad to follow her advice, as we wanted to minimize the disruption to our 2 year old daughter’s routine. Also, we had noticed that in our neighbourhood, houses for sale had sat on the market for months, even after price reductions. We were thrilled that our house sold for over 99.4% of the asking price on the same night as the first open house. Linda sold my investment property in North York in a week and half at $60,000 over the asking price! We had an amazing 20 offers! I could not believe how hard she worked, as she had to show the house so many times, and in managing all the agents and potential buyers on the day we accepted offers - she had more stamina than all of us! Linda advised us as to what was the best strategy to take, and we were completely thrilled and amazed with the result! We cannot thank Linda enough for the great job she did in selling both of the houses. She is extremely knowledgeable, efficient, hardworking, and professional. She gave us great guidance, is an excellent negotiator, has great integrity, and is the best real estate agent we’ve ever dealt with! We solicited Linda’s help to sell our house and consequently find us another home. However, we didn’t expect to get the outstanding results we achieved with Linda. She sold our home (conditonally) on Terragar Blvd in less than 24 hours (of showings) at 99.6% of asking price. WOW! We couldn’t have asked for any better results than that! Linda’s knowledge of the neighbourhood, her solid advice in getting our house ready to sell, her fun and courteous demeanour along the way are the reasons we chose Linda and we’ve had no regrets. We also ended up finding exactly the house we were looking for while Linda went to work and negotiated a great deal. If you’re looking for a professional and caring agent who listens to your needs, then I strongly suggest you choose Linda Turner! You will be very pleased with the results! Linda recently sold our home in the Sawmill Valley neighbourhood of Mississauga and we are delighted with our choice of real estate agents. Linda exercised great patience as we debated for over a year on the decision to sell. During this time Linda kept in touch and provided us with valuable market information and updates without ever pushing us to list. Once the decision was made to sell, Linda proved to be invaluable with her knowledge of the housing market and strategies for showing the home to its full potential. This enabled us to sell our home (conditionally) in less than a week (after showings commenced) for more than list price. Linda was always friendly and professional and her negotiation skills were excellent. We would not hesitate to recommend Linda to anyone who is thinking of selling their home - she is definitely someone to have on your side of the table! This letter is to acknowledge the high level of professionalism and service provided by Linda Turner. We have been very impressed and satisfied with the attention and consideration demonstrated by Linda in the process of selling our home. From the preparation and advice on how to show our home to the handling of the offers and final sale, Linda has maximized the pleasure and minimized the stress. Linda is an excellent sales representative for Royal LePage and we would highly recommend her to our friends and family. We wish her continued success in the future. I made a very good decision when I selected Linda Turner as my agent. Having bought and sold at least 5 homes in my lifetime, I know what I should expect from my agent and believe me .. when I say that I have high expectations, Linda Turner exceeded all of them! Linda made us feel like we were her only client. She was available night and day, always ready to listen to our ideas or concerns. She made us feel confident that she would get the job done. Linda Turner not only sold my home, she was the listing agent and the selling agent. Linda also found us our new home and was successful in negotiating against the 3 other offers that were on the home. We were more than happy with the price we paid. Any person who is in the process of either selling or buying a home, and who doesn’t consider Linda Turner as their agent, is making a serious mistake! I will recommend Linda Turner to everyone I know! There are many people that we meet in our lives, but only a very few will make a lasting impression on our minds and hearts. You have such a positive outlook on life. Your words were always encouraging and your professionalism is exceptional. When people are around you, they seem to absorb your uplifting attitude. We would like to express our sincere thanks and we look forward to a continuing relationship with you. You are these people that we will think of often and who will always remain important to us. We value your business and will certainly not hesitate to recommend you to our friends.